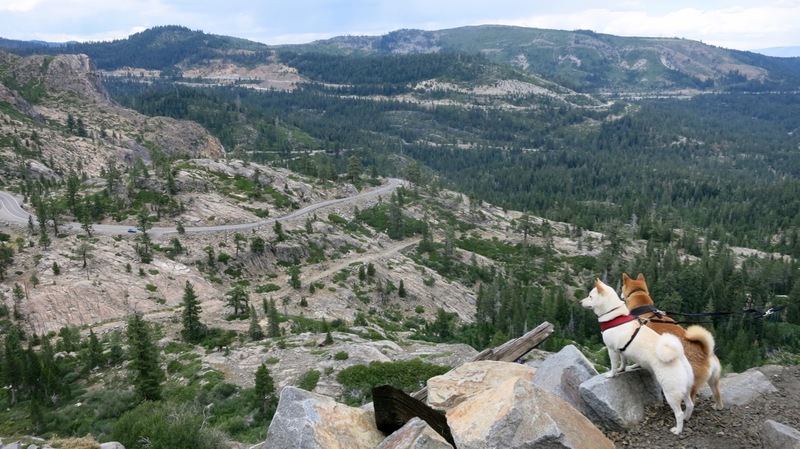 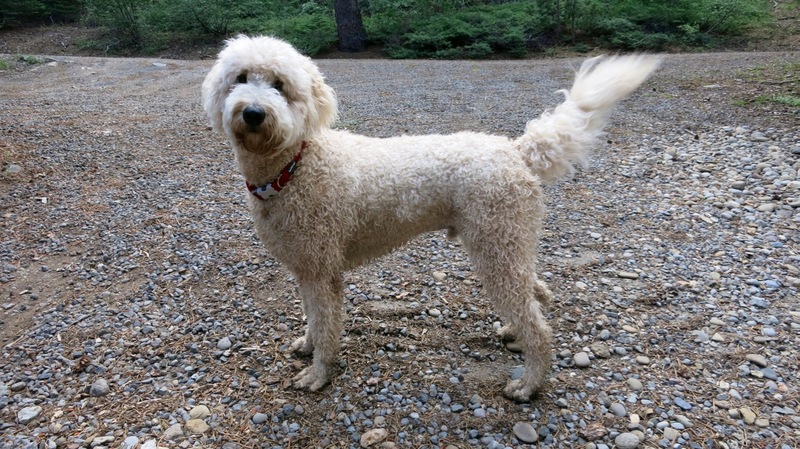 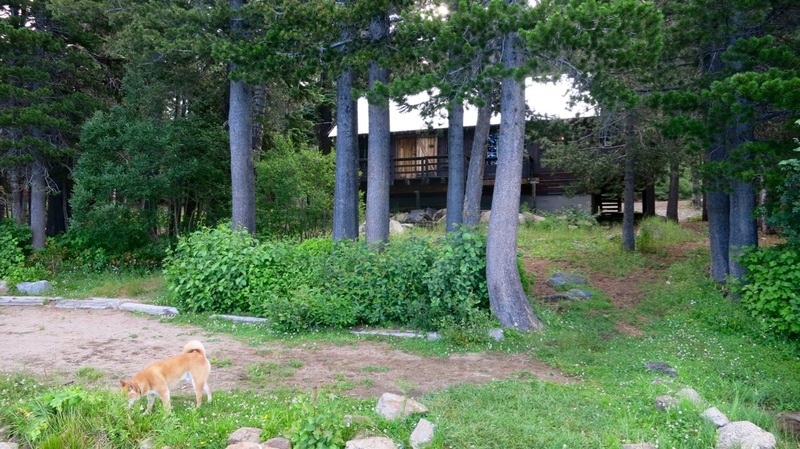 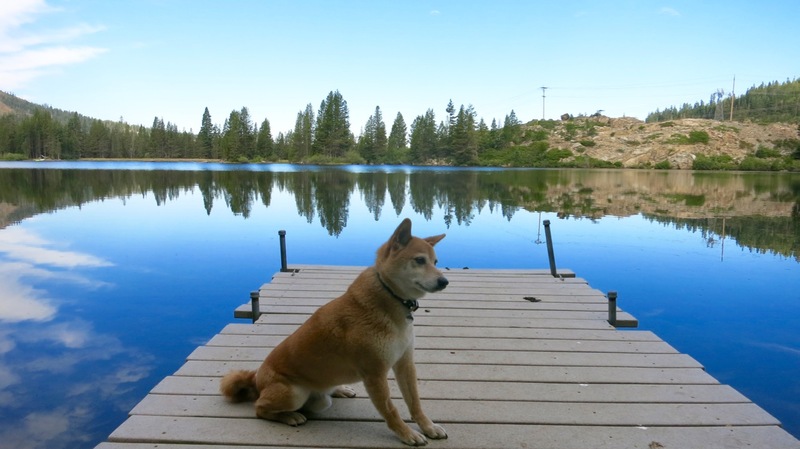 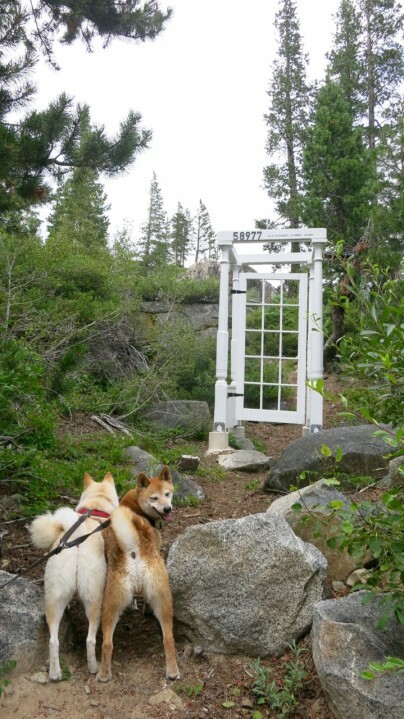 Our friend Ann generously invited us to stay at her Dartmouth alumni association’s cabin near Mary Lake, so TBO and I hit the road with the Shibas and spent a gorgeous weekend in the Lake Tahoe area. 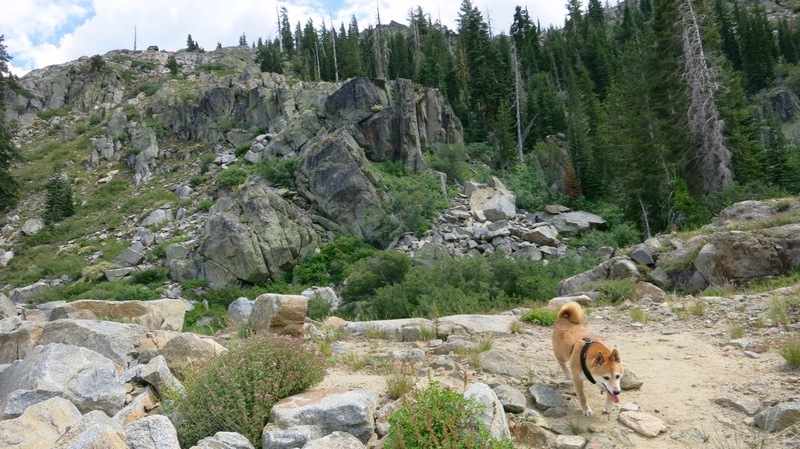 While TBO headed out to tenkara and Ann trained for an upcoming hike on Mt. 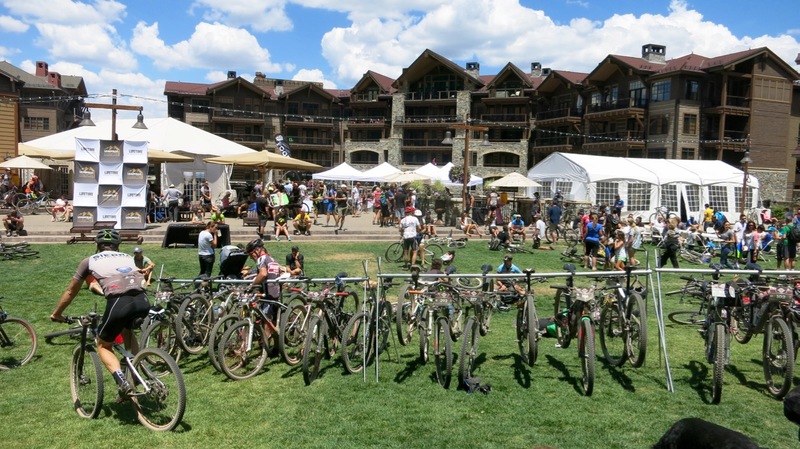 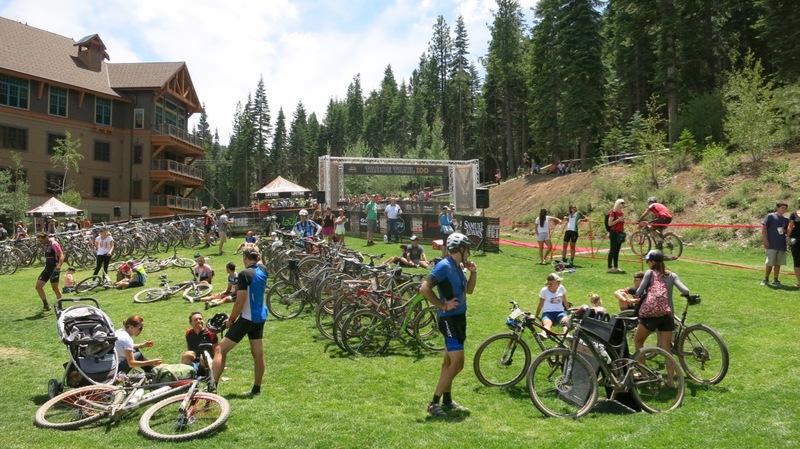 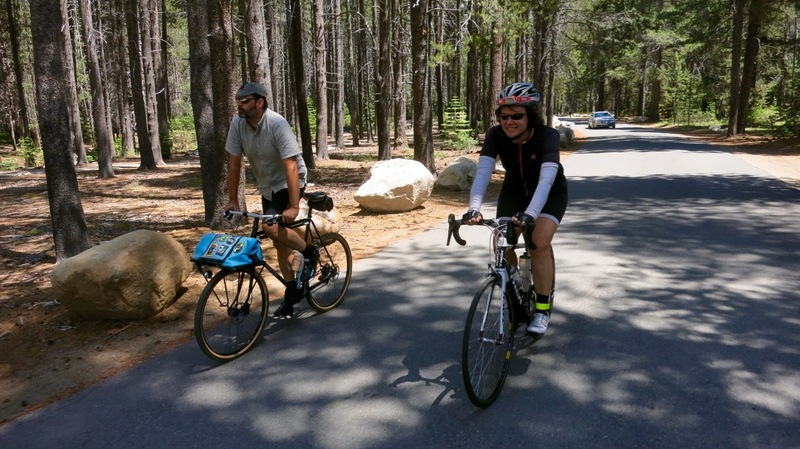 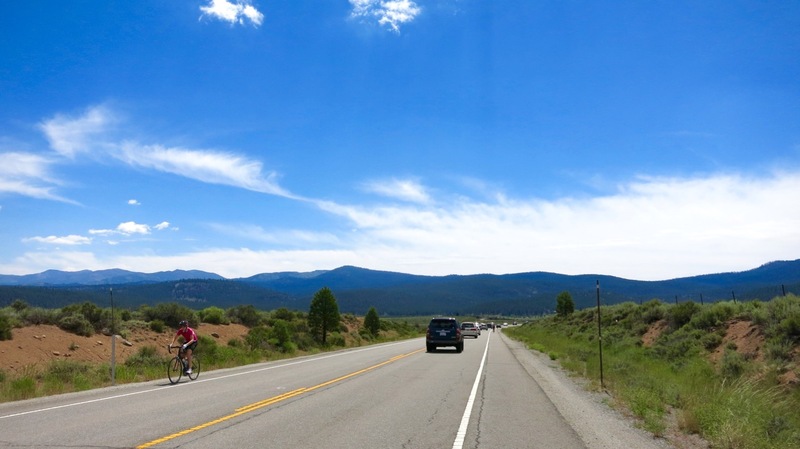 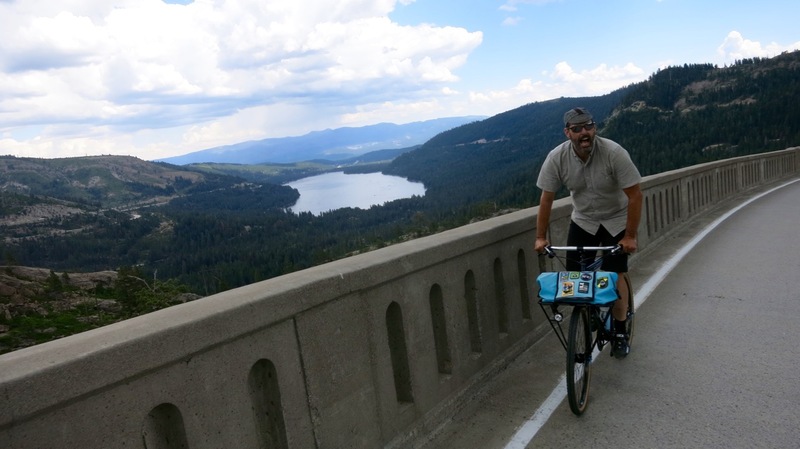 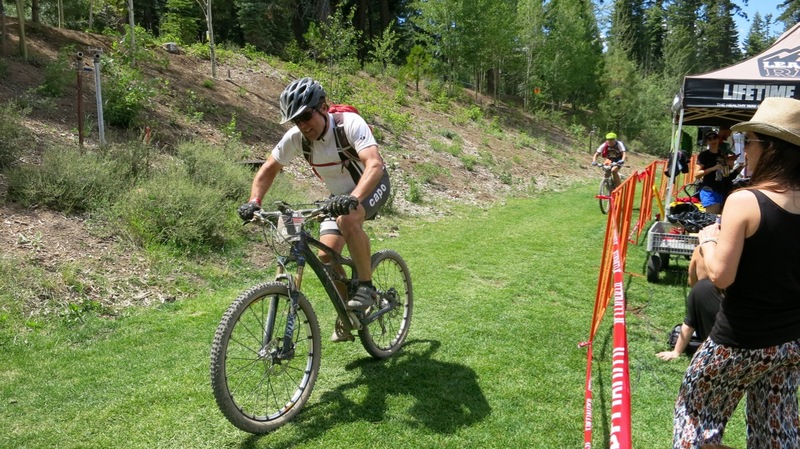 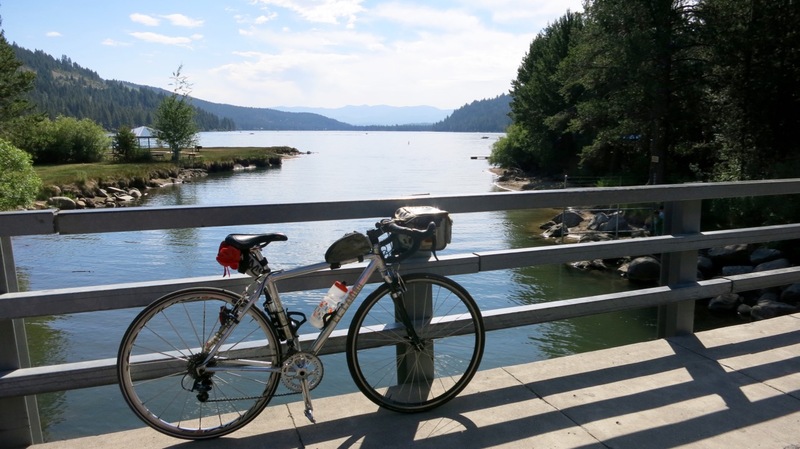 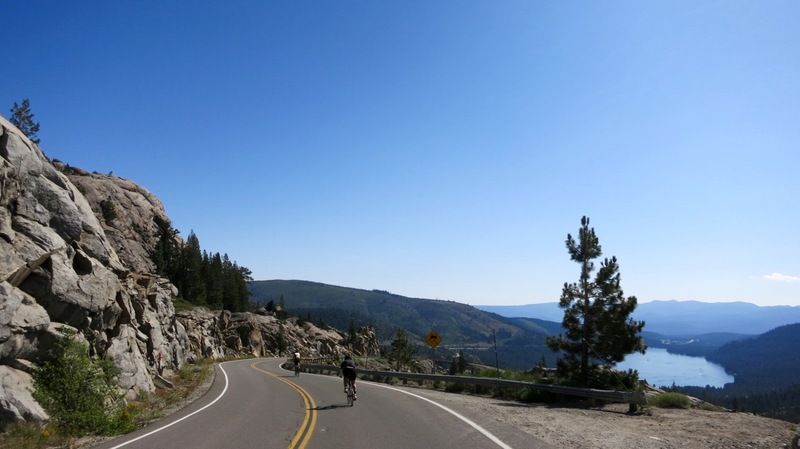 Whitney, I spent Saturday morning riding a leisurely 30-miles: I sped down Donner Summit (7135 ft.), pedaled a lap around Donner Lake, cruised through Truckee and then meandered over to North Star, where the annual Tahoe Trail 100 mountain bike race was in full swing. 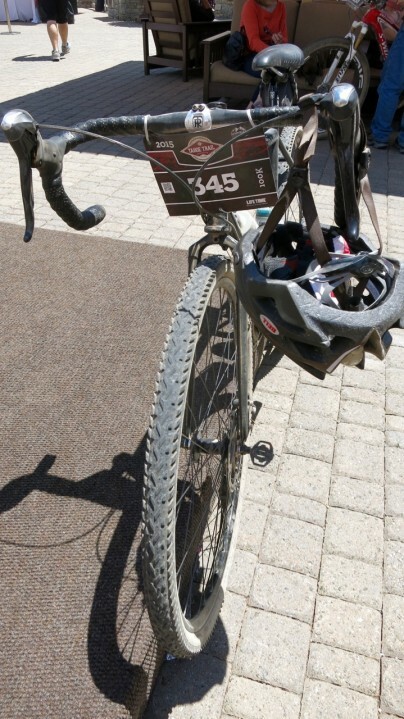 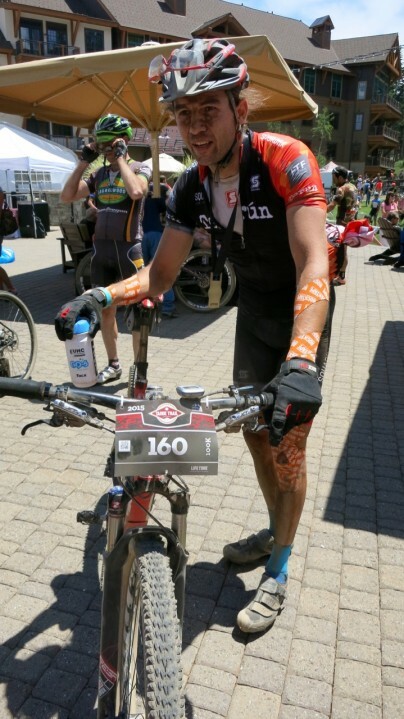 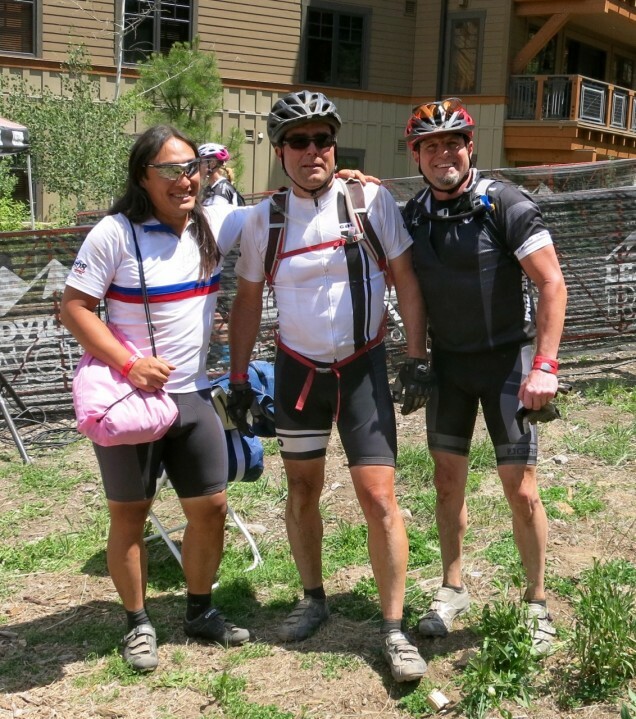 Our friends Mike and Ron survived the 100k course, while Pudu rode 50k on his CX bike (yes, you read that correctly.) 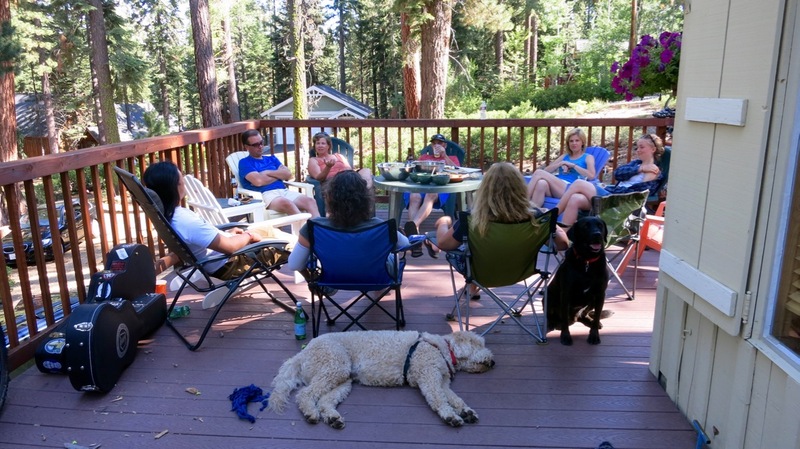 Afterwards, Sarah, Mike and Emily hosted a relaxing BBQ at their cabin for us, several other friends and our playful pack of six dogs. 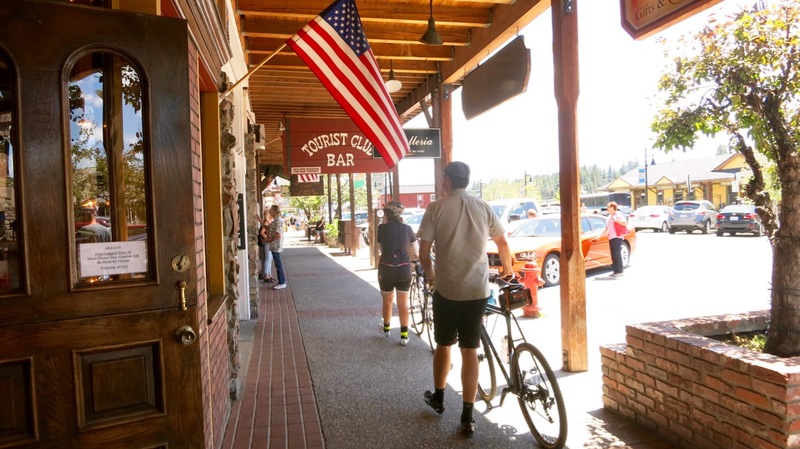 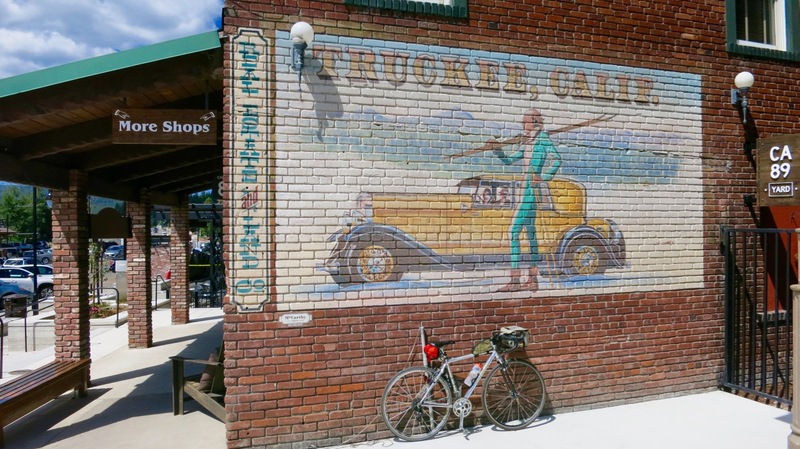 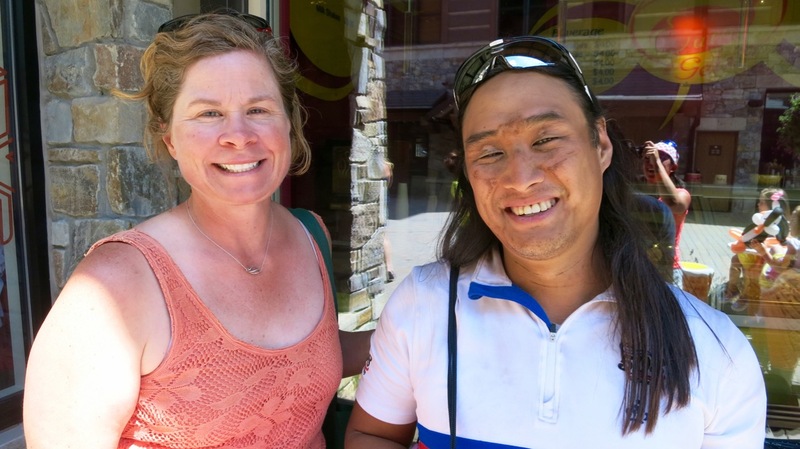 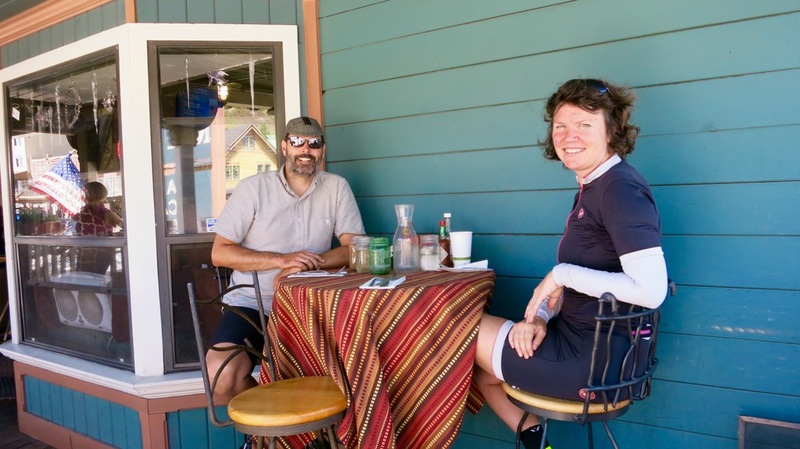 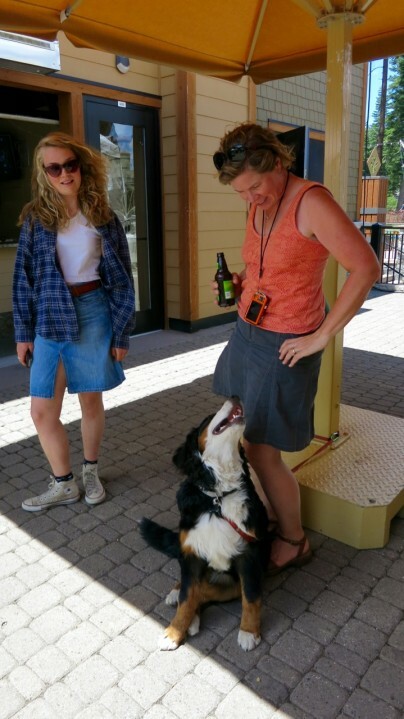 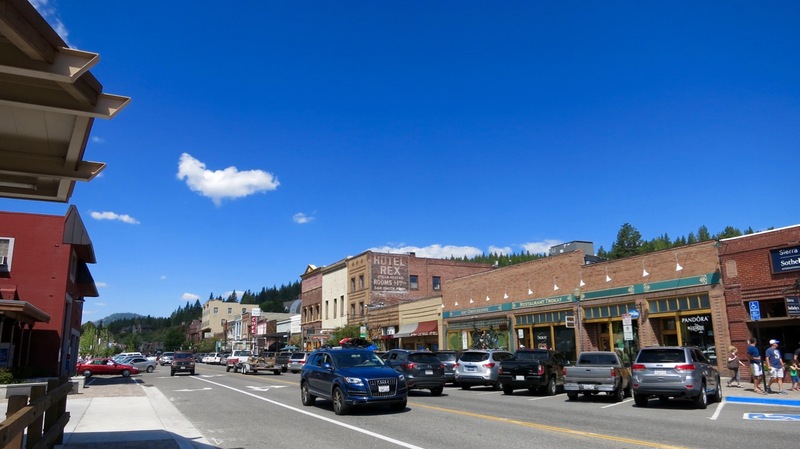 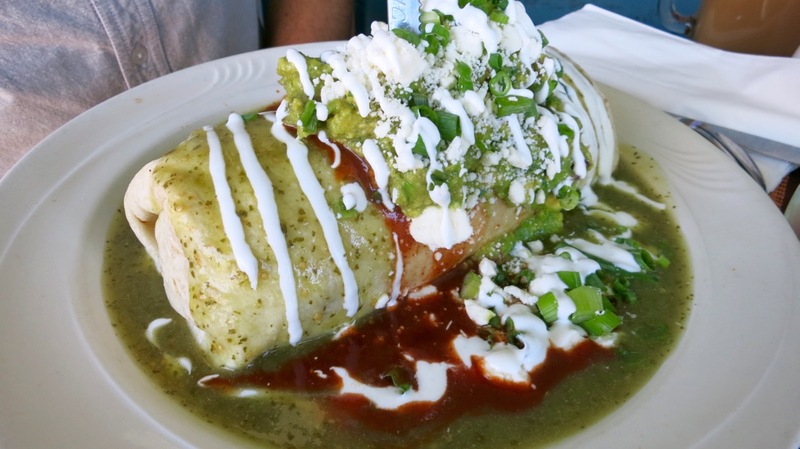 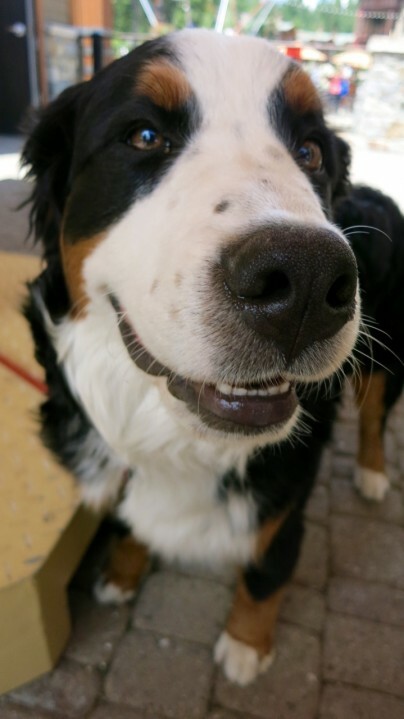 On Sunday morning, TBO, Ann and I myself retraced my ride to downtown historic Truckee, where we enjoyed delicious brunch on the patio of Marty’s before backtracking up to Donner Summit. 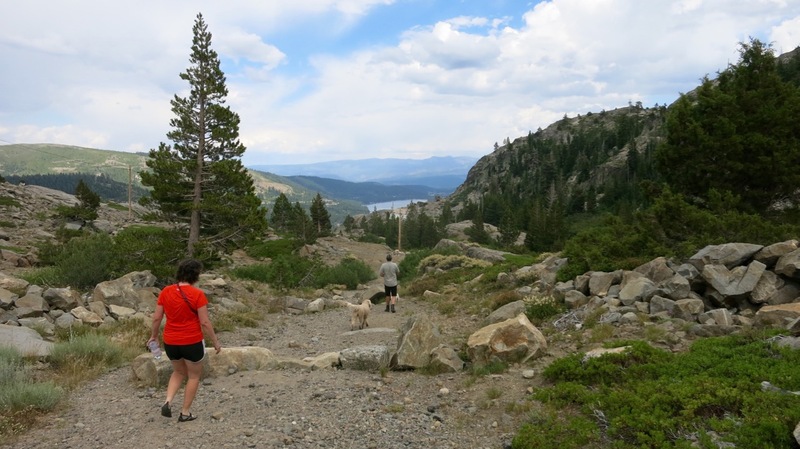 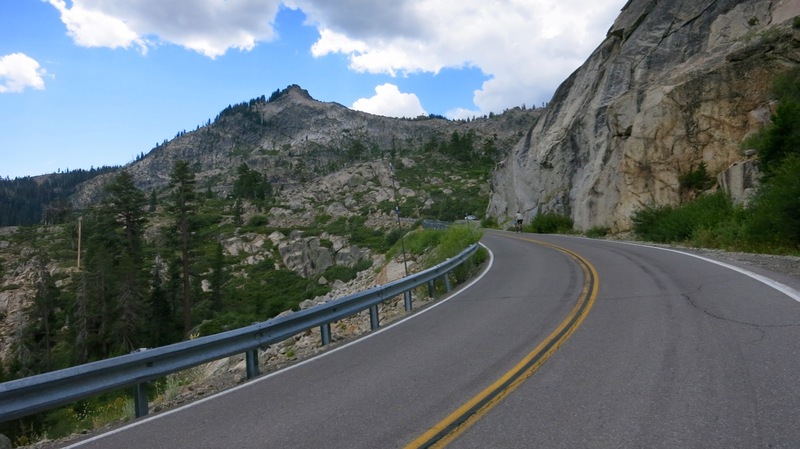 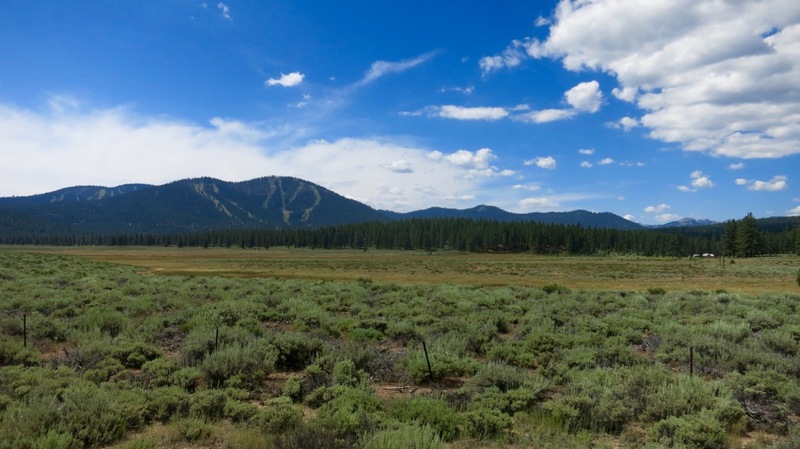 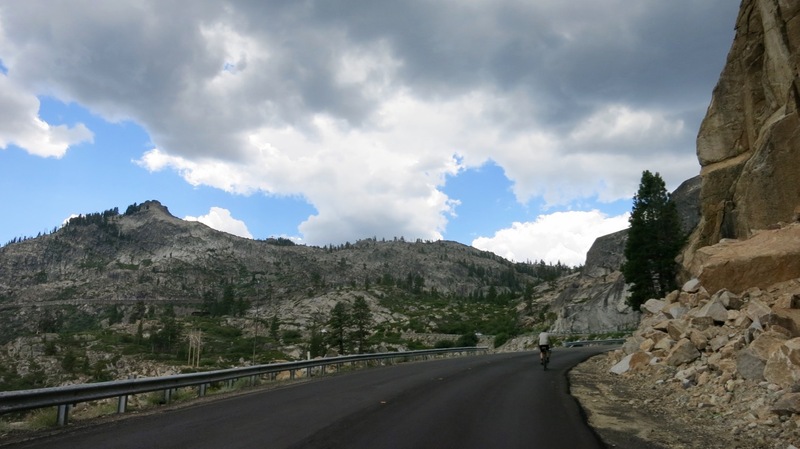 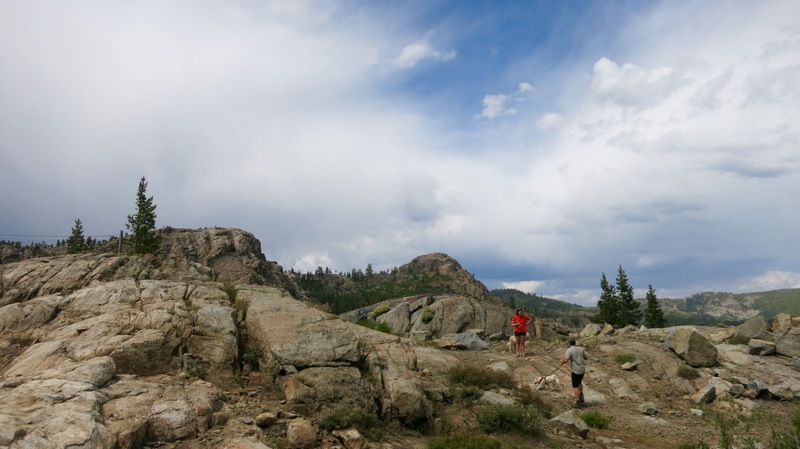 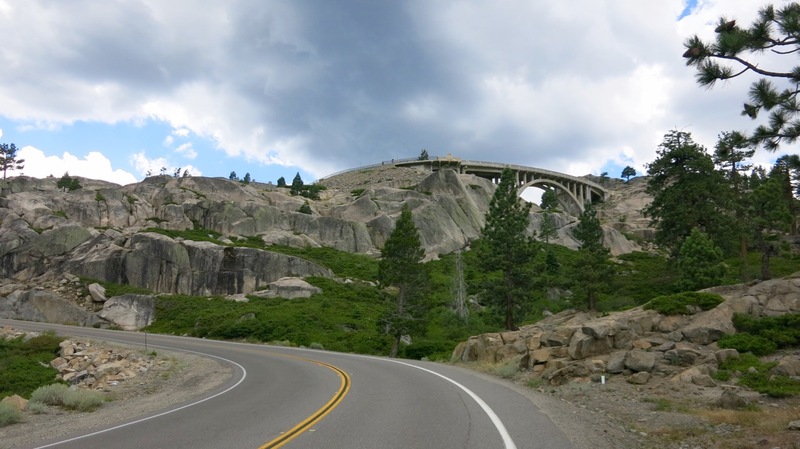 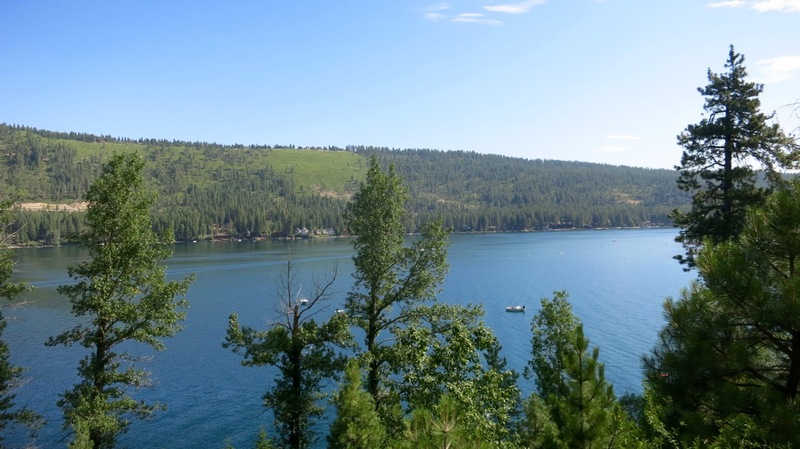 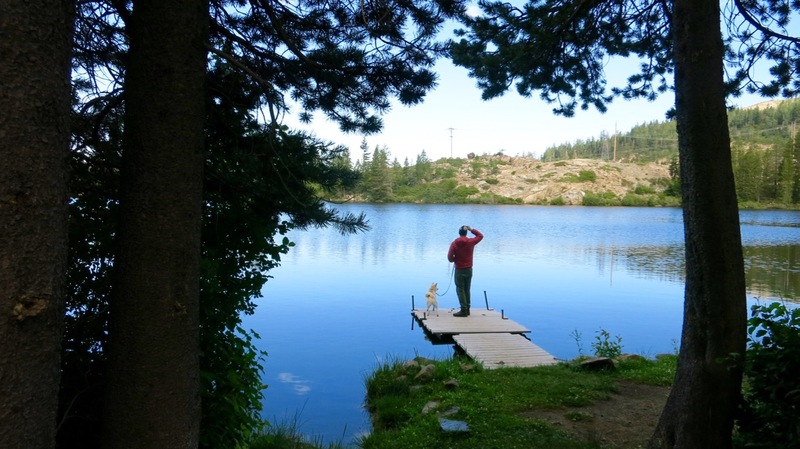 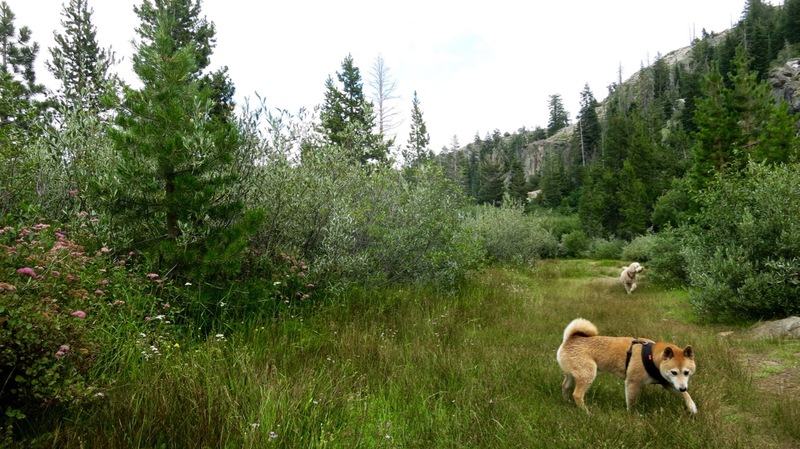 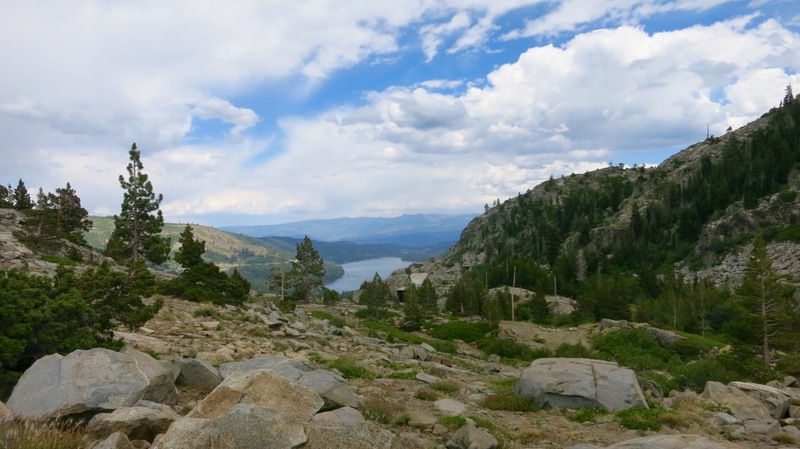 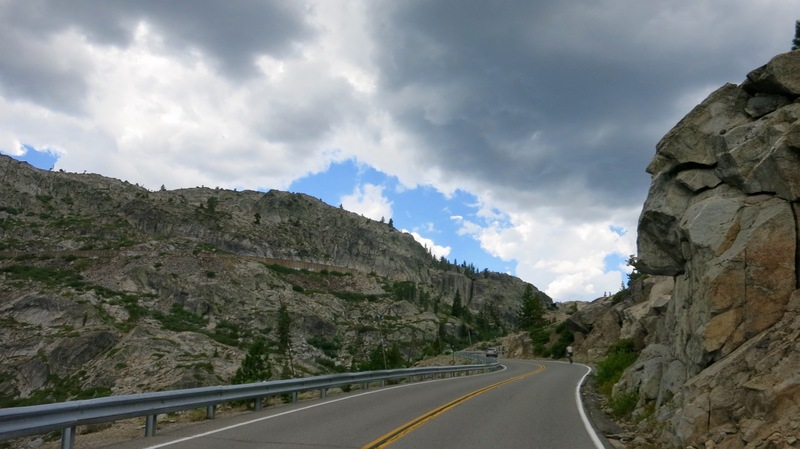 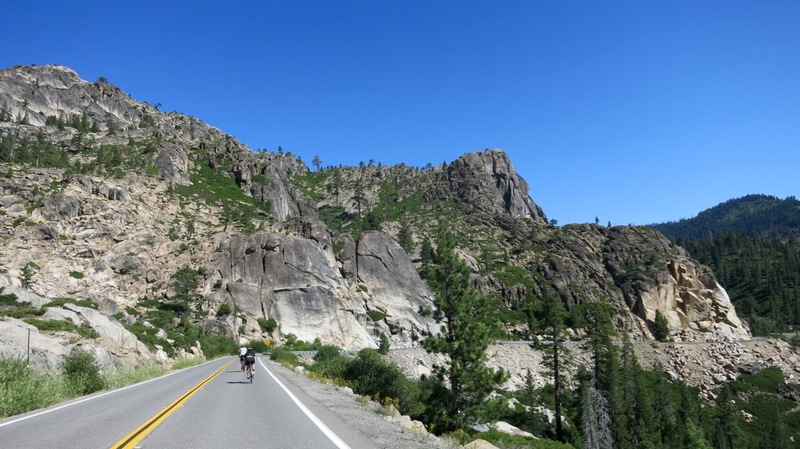 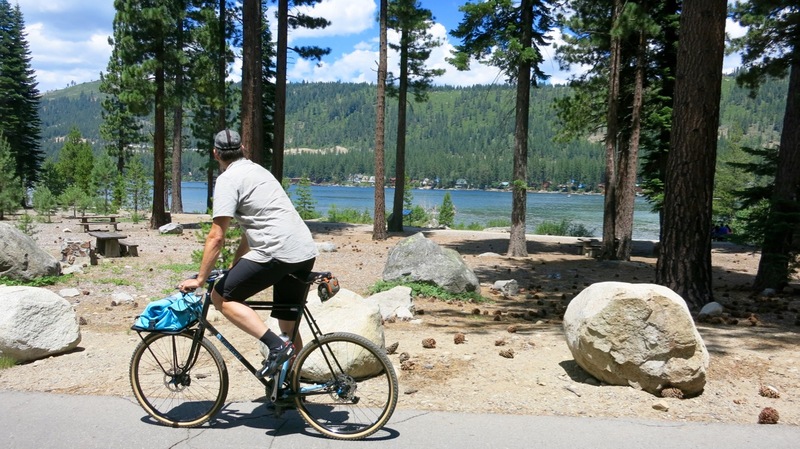 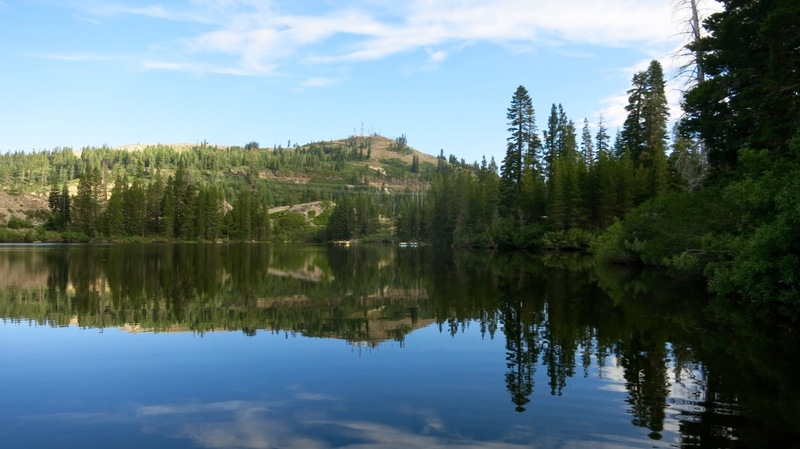 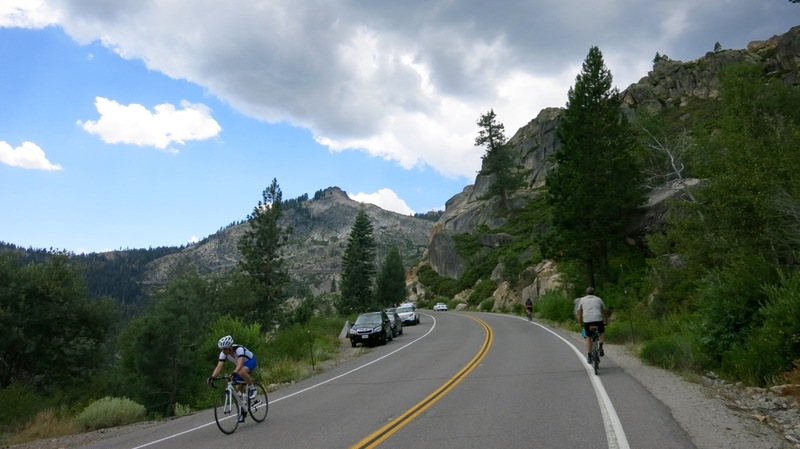 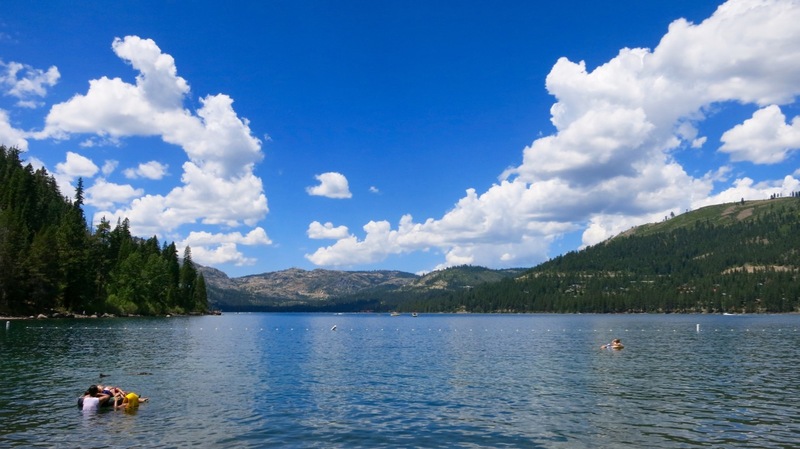 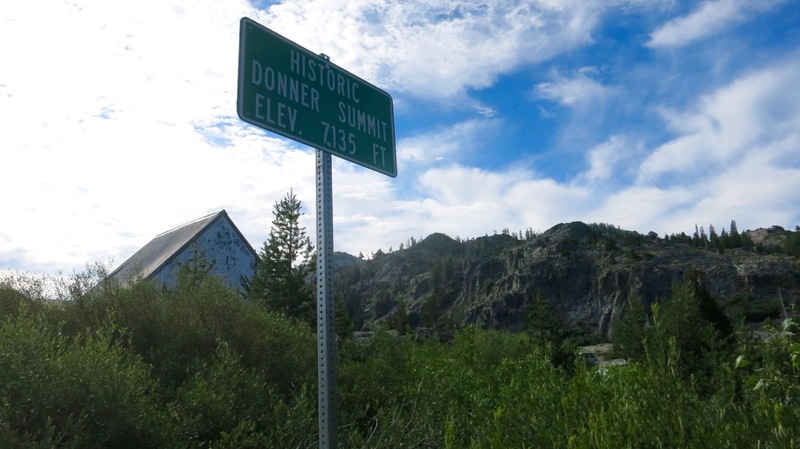 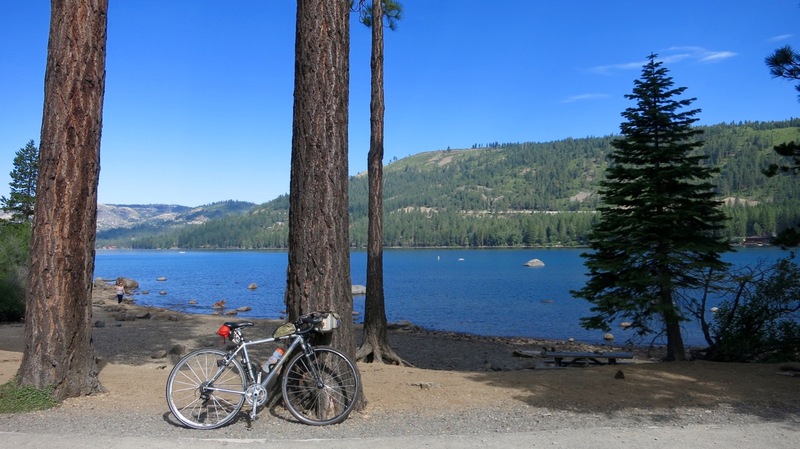 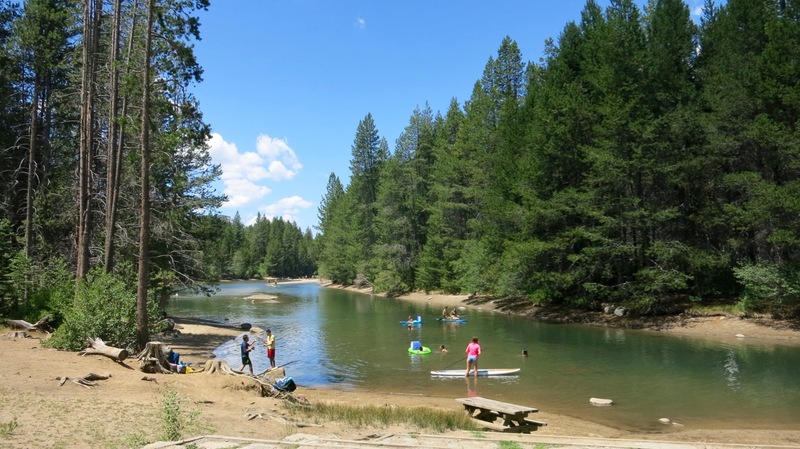 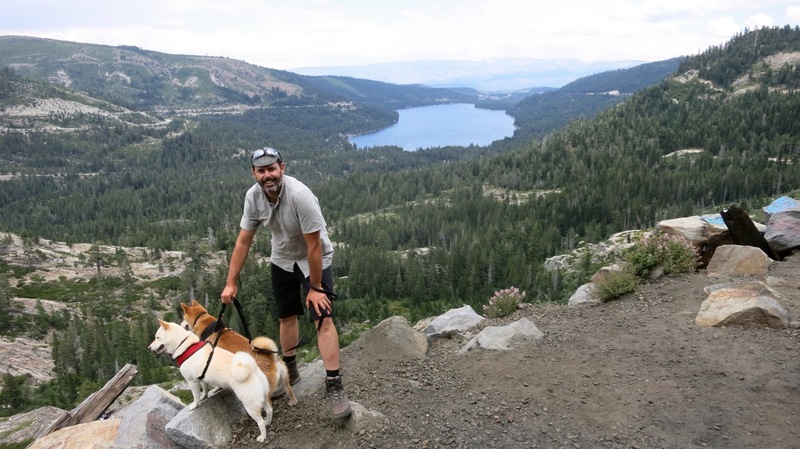 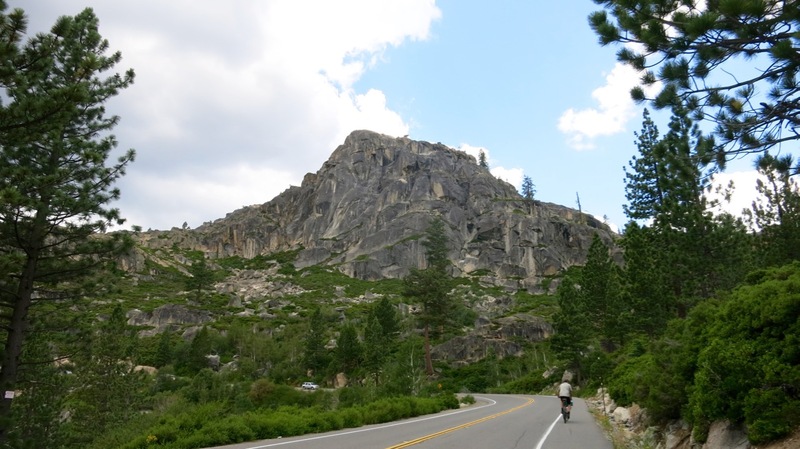 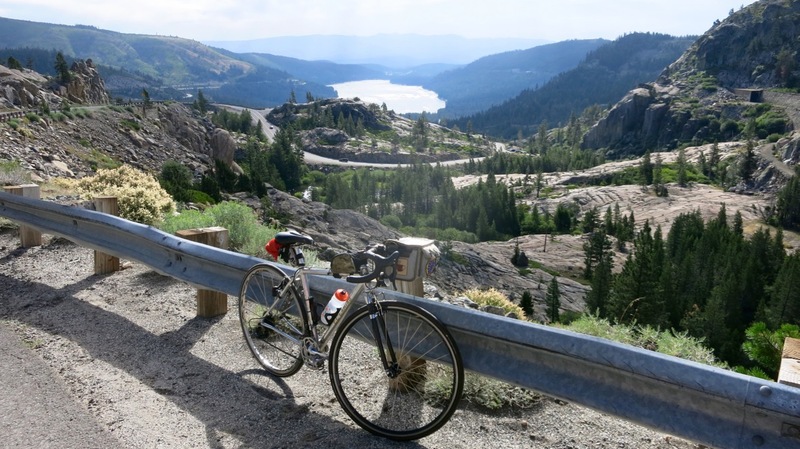 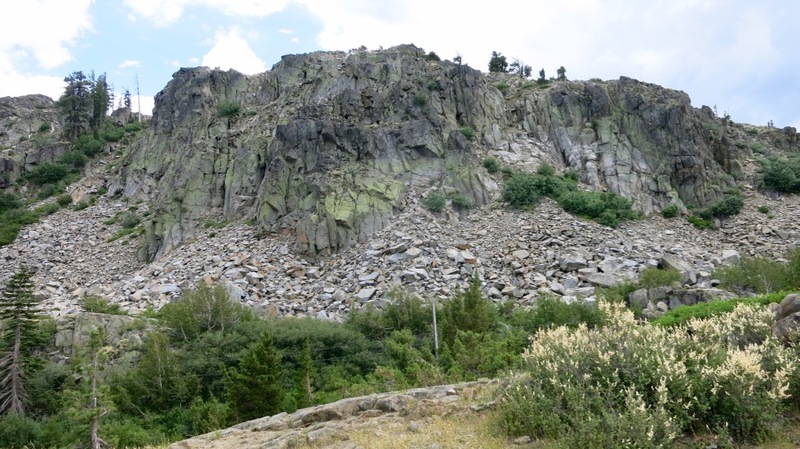 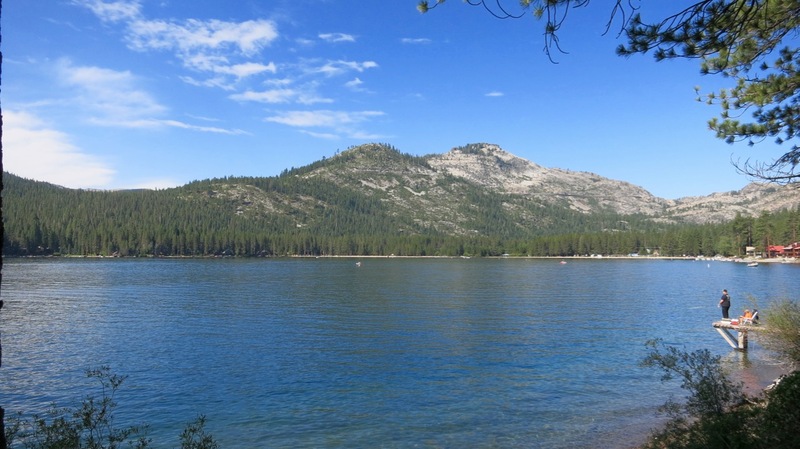 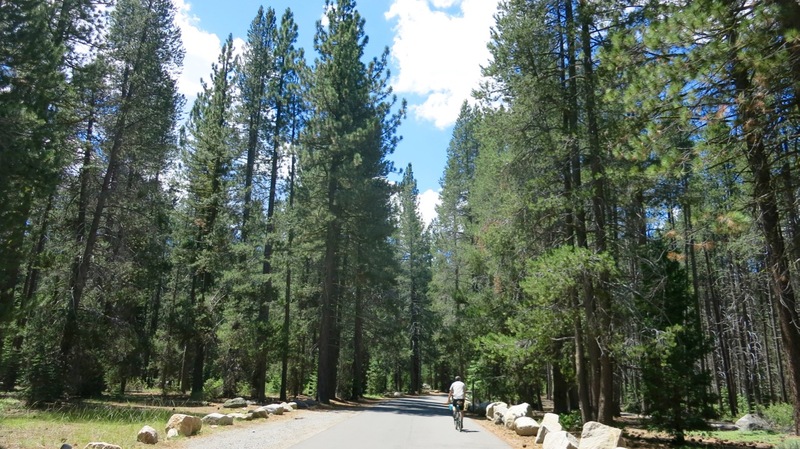 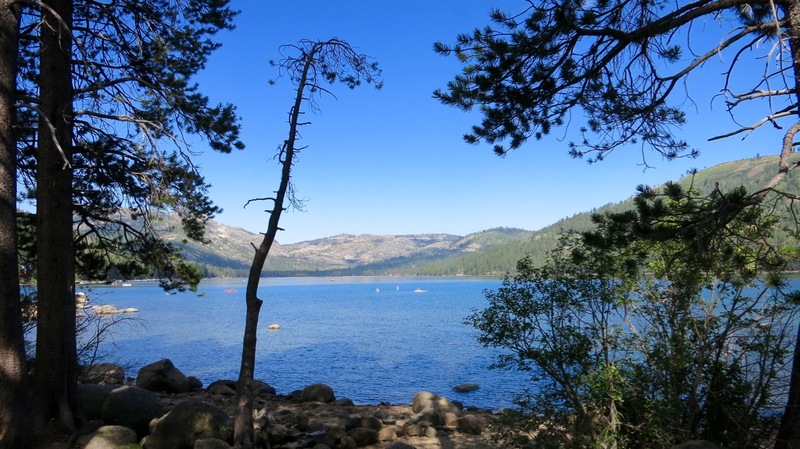 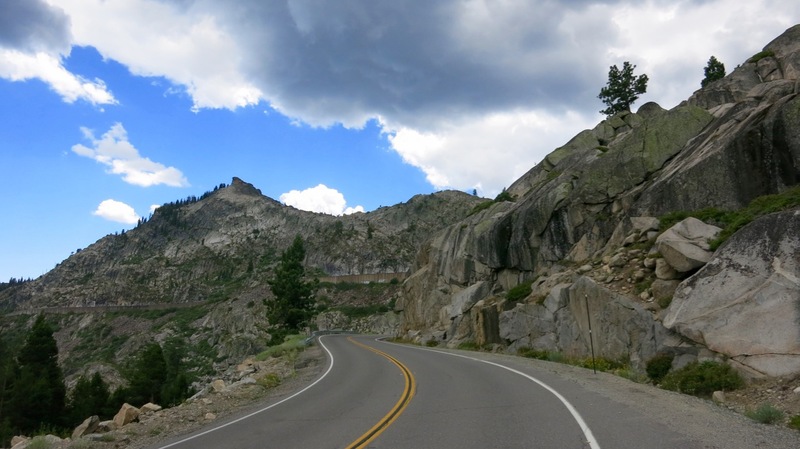 The gentle 2-mile climb gives you plenty of time to take in the glorious views of Donner Lake and the surrounding rocky landscape dotted with acres of green pine trees. 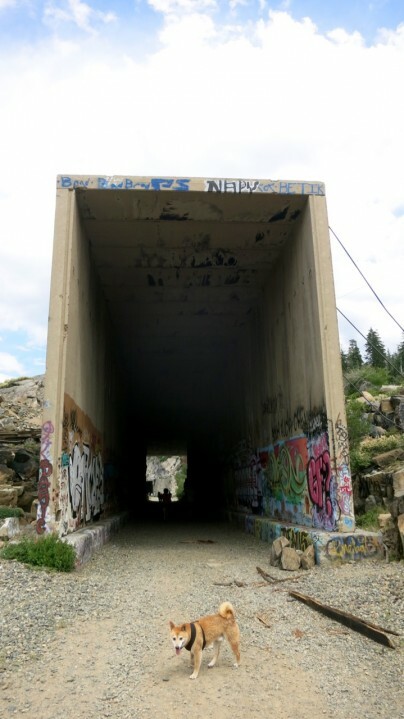 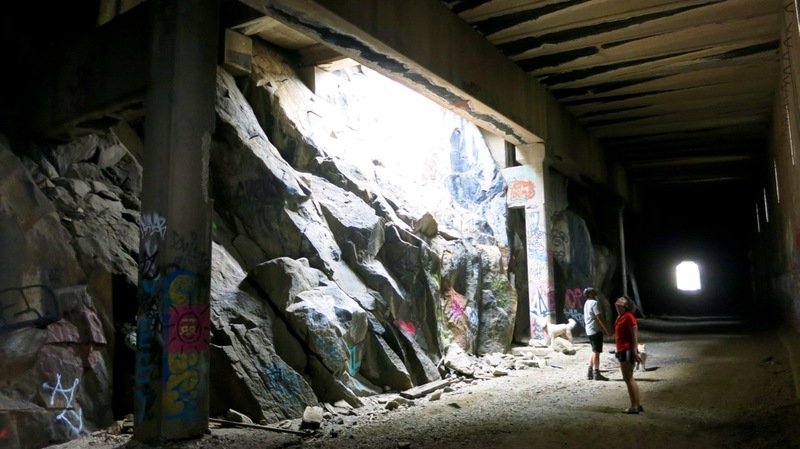 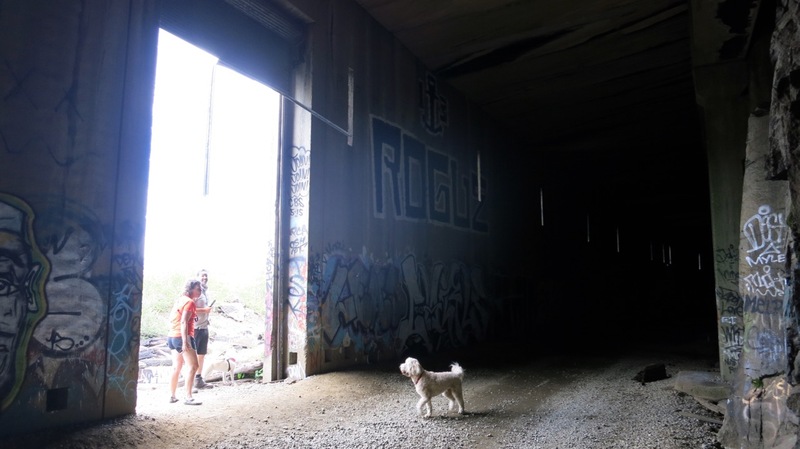 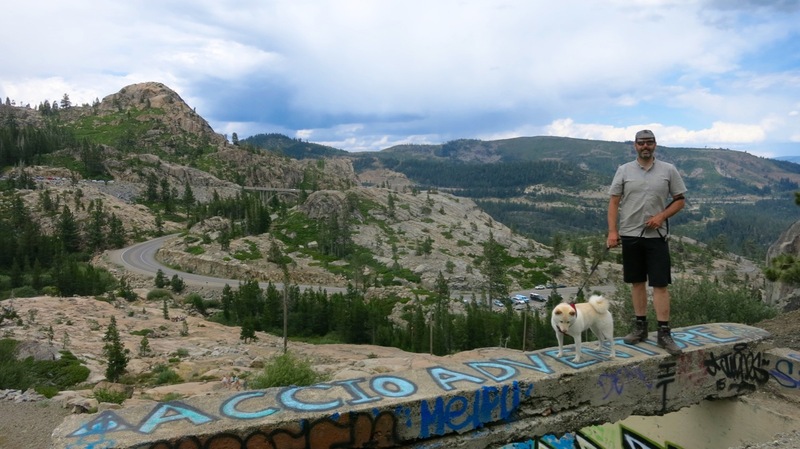 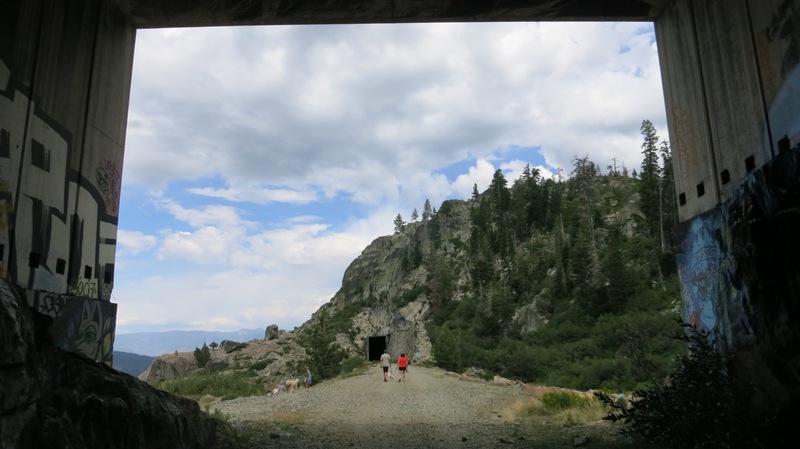 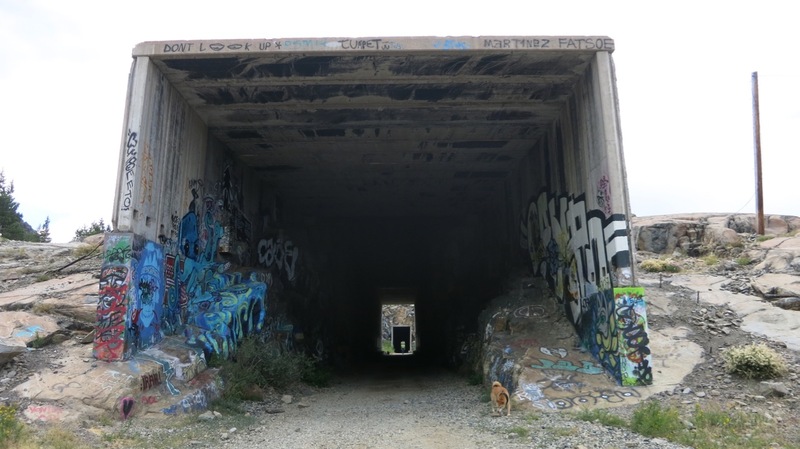 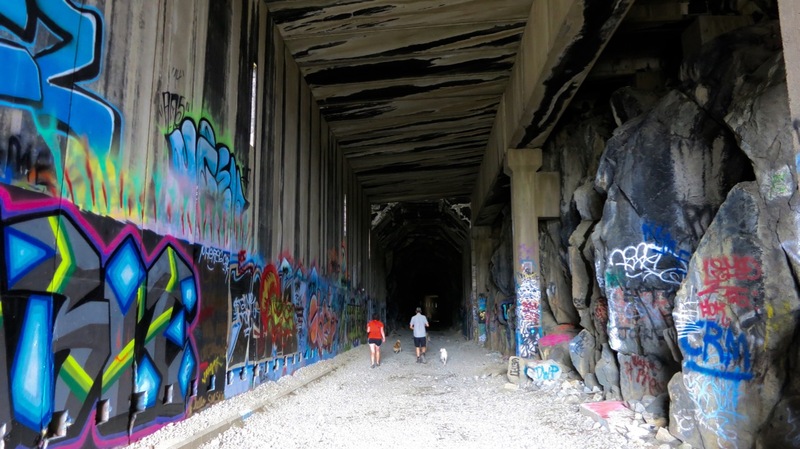 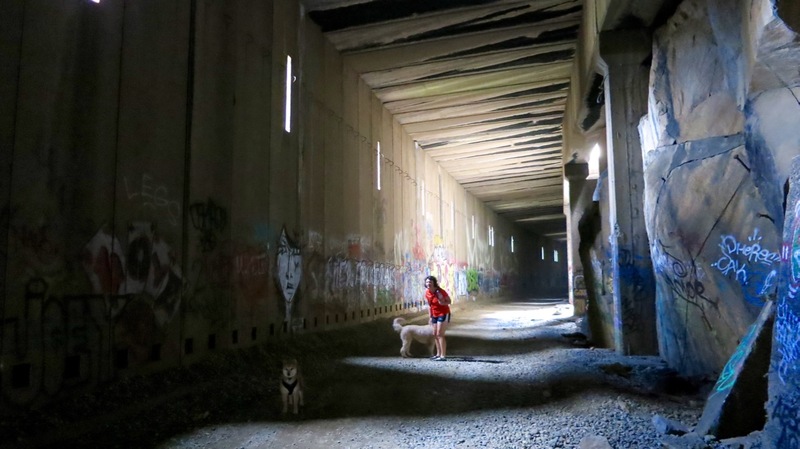 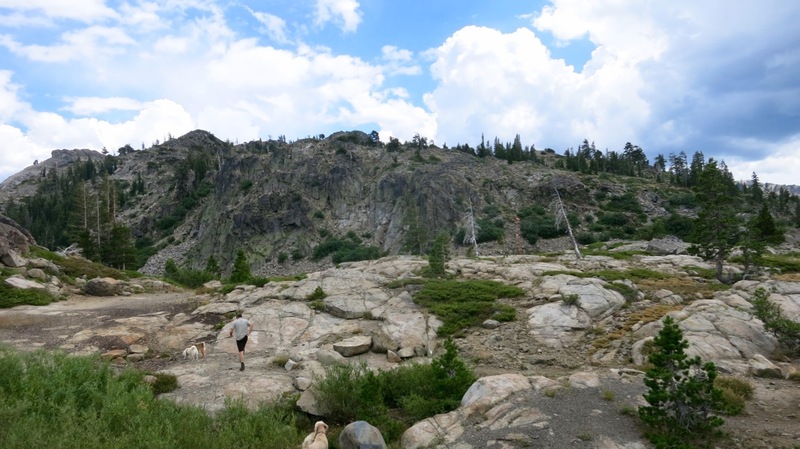 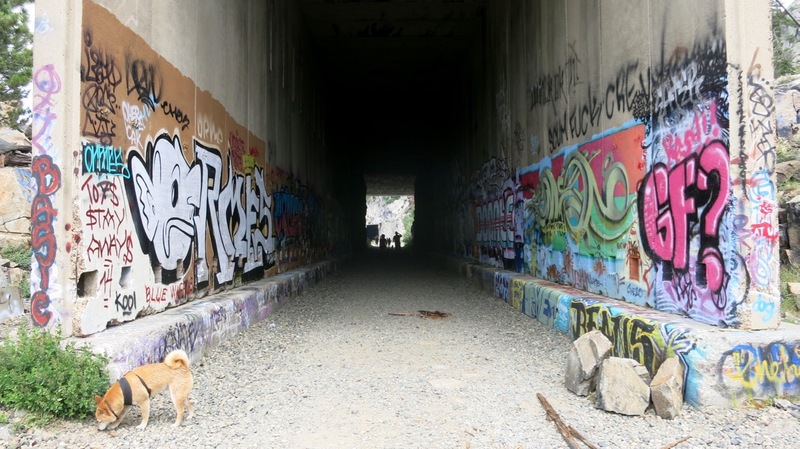 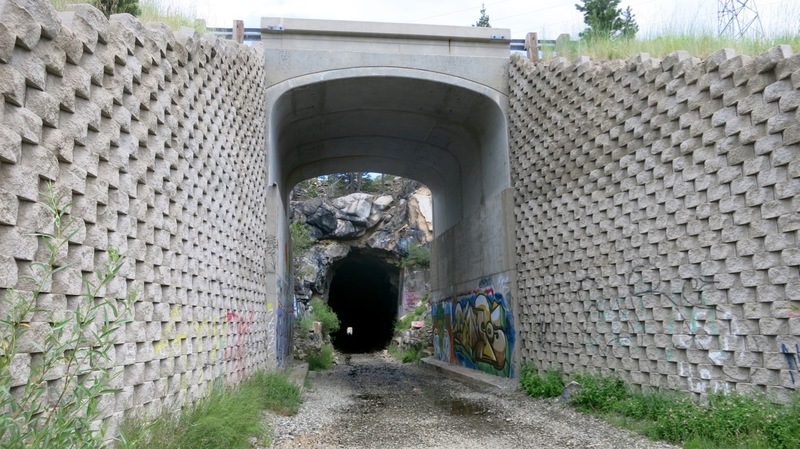 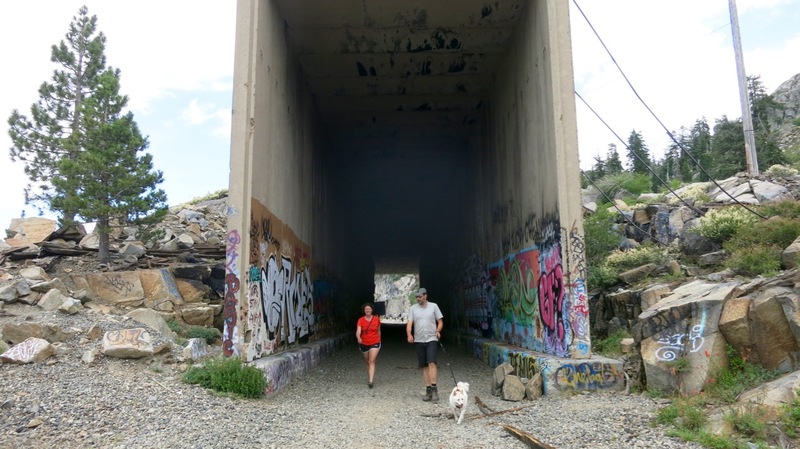 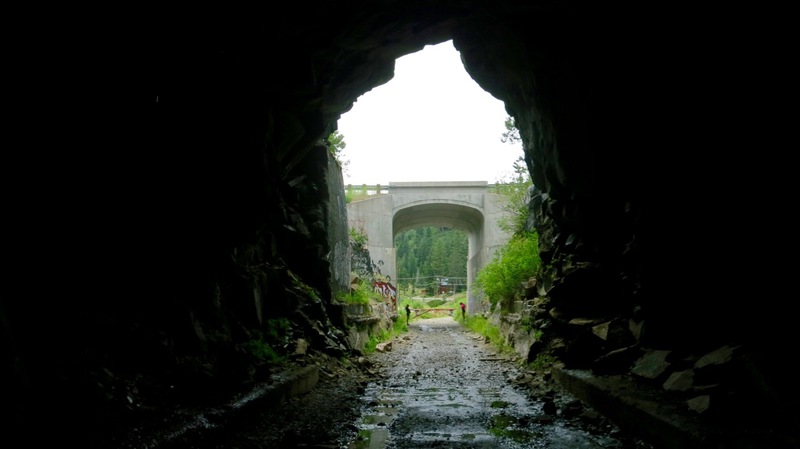 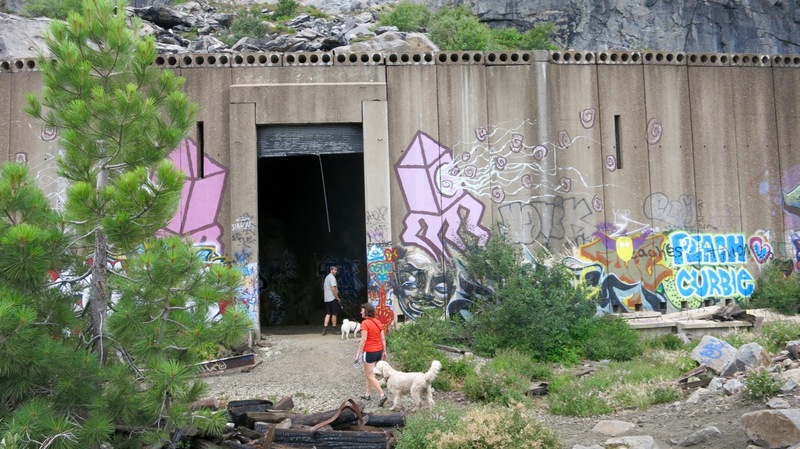 After cooling down with a brief dip in Mary Lake, we hiked a scenic portion of the abandoned Donner Pass Transcontinental Railroad Tunnels Trail before (sadly) packing up and heading back to urban lives back in Oakland.